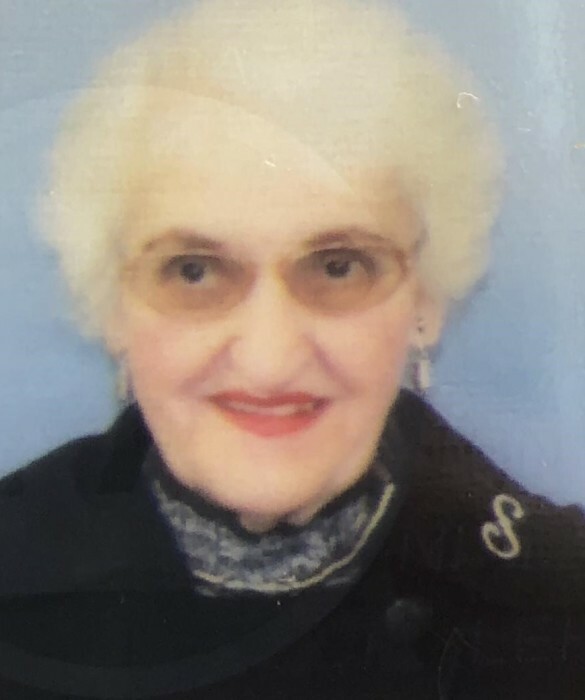 Sophie Venosh Pientack, 89, Archbald, passed away peacefully, with her family by her side, Saturday evening, at Lackawanna Health and Rehabilitation Center, Sturges. Her husband Frank D Pientack, preceded her in death on March 03, 2002. Born Monday, December 10, 1928, in Archbald, to the late John and Ann Vaverechak Venosh. She attended Archbald School, and was a seamstress in the garment industry, until her retirement. Sophie was a member of Christ the King Parish, Archbald, and the International Ladies Garment Worker’s Union. She loved playing cards with her sisters, and savvied herself a pretty fair Bingo player. Sophie is survived by her sons, David and wife, Teresa Pientack, Archbald; Stephen and wife Joan Pientack, Archbald; her daughters Ruth and husband Robert Manchak, Sparta, New Jersey, and Loretta and husband Gary Mahalidge, Dalton; her beloved grandchildren Janet Freer, Amy Haney, Nancy Stuflick, Elaine Sorrell, Jennifer Mahalidge, Michelle Mahalidge, Alexa Manchak, Zachary Manchak, Alexis Pientack, Vanessa Pientack, Samantha Pientack, and numerous great grandchildren. She was also preceded in death by her son Frank Pientack; her grandson Cory Pientack; six brothers and four sisters. In lieu of flowers, the family requests that donations be made to Hospice of the Sacred Heart, 1112 Clay Avenue, Dunmore, or the Alzheimer’s Association, 57 North Franklin Street, Wilkes-Barre Pa 18701-1309. You can also find envelopes at the funeral home. All arrangements are private, and have been entrusted to the Louis J. Rapoch Funeral Home, 420 Church Street, Archbald.